Adminland is the place to make administrative changes to your account like adding someone new, removing someone from the account, changing which package you are on, or updating your billing info. 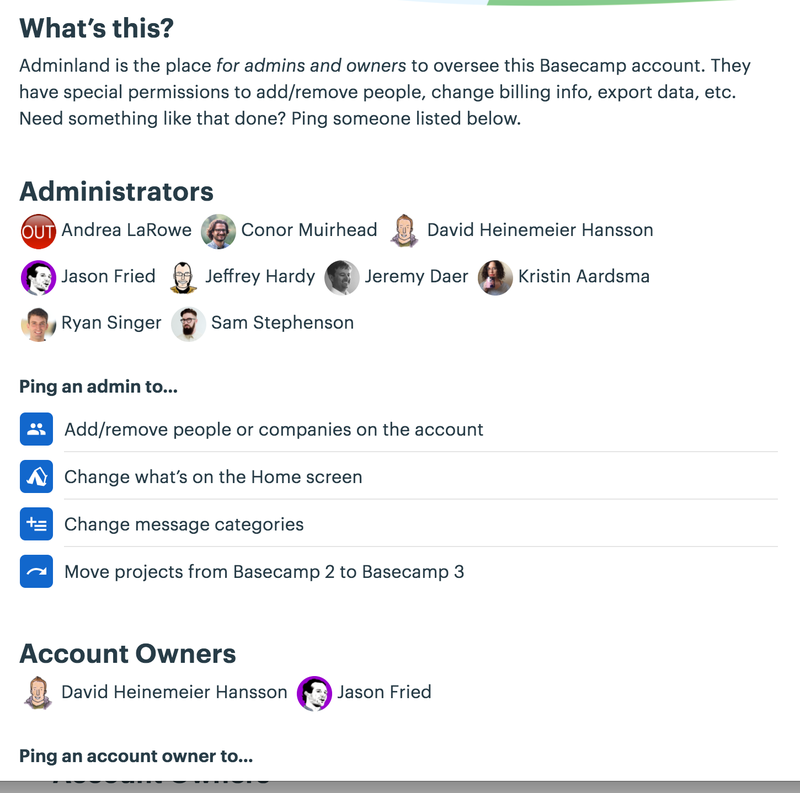 Everyone can see Adminland, but only Admins and Owners can actually make changes. To get started, navigate to the Home page, and click on the 🔑Adminland link in the upper right corner. 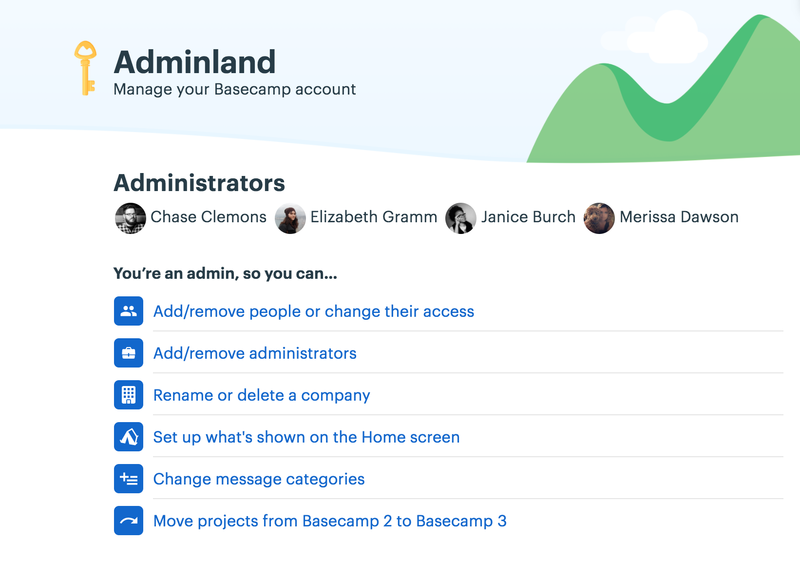 Inside Adminland there are two sections: "Administrators" and "Account Owners"
Administrators can add people, remove people, change which Projects or Teams someone is on, and manage companies/organizations. 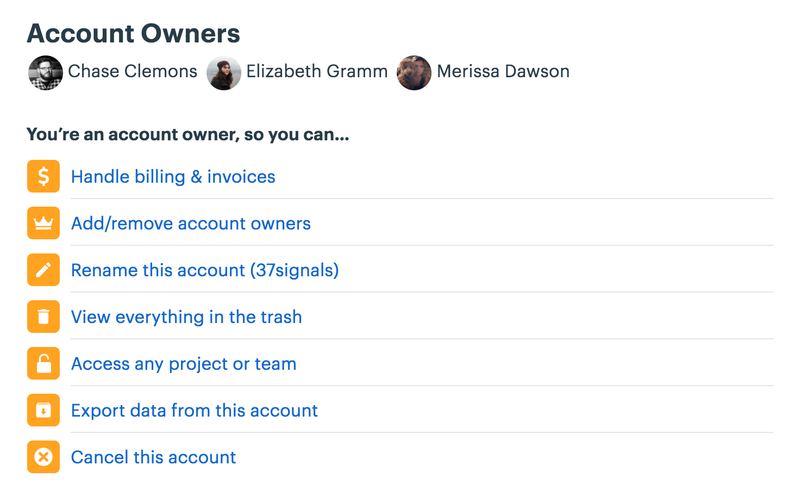 Owners can do everything Admins can plus: upgrade/downgrade the account and handle all the billing and invoices. People who aren't administrators or owners will just see a list of who to ping in order to get account stuff taken care of...that way, they'll know whom to pester when Debbie in accounting needs the invoice yesterday, thankyouverymuch.